Audio Technica ATH-A550Z Art Monitor® Closed-Back Dynamic Headphones Art Monitor® Close.. Audio Technica ATH-A990Z Art Monitor® Closed-Back Dynamic Headphones Art Monitor® Close.. Audio Technica ATH-AD1000X High End Audiophile Headphones ATH-AD1000X High-End Audiophil.. Audio Technica ATH-AD2000X High End Audiophile Headphones ATH-AD2000X High-End Audiophil.. Audio Technica ATH-AD500X High Resolution Over Ear Audiophile Open-air Over-Ear High-Fid.. Audio Technica ATH-AD700X High Resolution Over Ear Audiophile Open-air Over-Ear High-Fid.. Audio Technica ATH-AD900X High Resolution Over Ear High Fidelity Audiophile Open-Backed .. Audio Technica ATH-ANC50iS Active Noise-Cancelling Over Ear QuietPoint® Active Noise.. Audio Technica ATH-AVA400 SonicPro® Over Ear SonicPro® Over-Ear Audio Video.. Audio Technica ATH-AVC200 SonicPro® Over Ear SonicPro® Over-Ear Audio.. Audio Technica ATH-AVC500 SonicPro® Over Ear SonicPro® Over-Ear Audio.. 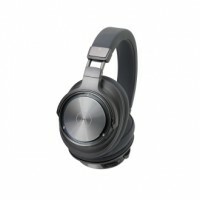 Audio Technica ATH-AX1iS Over Ear SonicFuel® Over-ear Headphones for Smar..